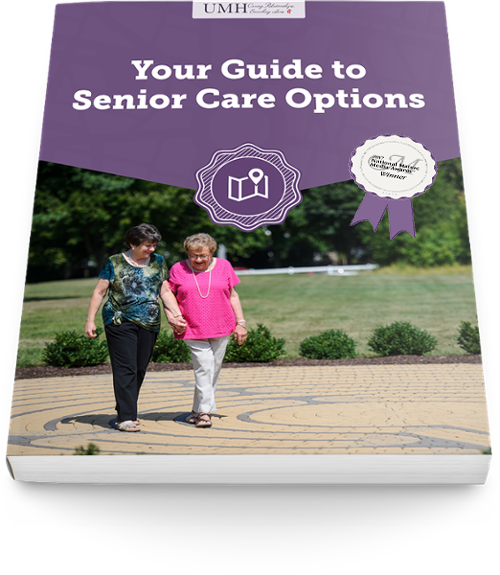 Everything you need to know about caring for your loved one - at home or at a senior living community. Farmington, Connecticut has a lot to offer seniors, especially when it comes to dining options. If you’re looking for an assisted living community for yourself or a senior loved one, you want to be sure there’s plenty to do in the area you choose. And, just because you live in a senior living community doesn’t mean you have to eat there every day! You can still go out and enjoy all the exciting dining options a town has to offer. Not sure what senior living and care solution is best for your loved one? Start making sense of your options. Get the award-winning guide and subscribe to our blog. This month, our Resident Spotlight is a little different. Instead of interviewing a resident myself and writing a spotlight on them, this blog is written from the perspective of a resident. Loren Schave, 2 year resident of Middlewoods of Farmington, has a unique collection of memorabilia and recently hosted an open house for fellow residents to come and see his collection. Middlewood’s resident Susan Schwager met with Loren and interviewed him on the history of his collectables. As Jean’s father was in the construction business, the family moved often. Although born in Cambridge, Massachusetts, Jean lived in a number of states including Maryland, Virginia, Indiana and Washington State. She met her future husband, James Barbour, while attending Ohio State University where she graduated as a Registered Nurse. Owen "Buzz" Conway Family and Service Born in the city of brotherly love (Philadelphia), Owen picked up the boyhood nickname “Buzz” that has followed him to this day. As a young man, he was drafted into the US Army in 1945 where he was trained as a medic. He saw frontline action in the pacific and later in Korea. Incredibly, he would go into battle armed only with bandages and medicine. Lois Selnau Mother, Educator, Historian Lois Brigham was born in Burlington, Vermont, where she spent her most of her youth until attending the prestigious Middlebury College to study Nutrition Science. A proud graduate of the class of 1946, she has served as the Class Agent from 1996 to the present, strengthening alumni ties. After an internship at Massachusetts General Hospital in Dietetics, she worked at the Veteran’s Administration in Connecticut in 1948, tending to the dietary needs of veterans. It was shortly thereafter she met and married her husband Elmer Selnau in 1953. The couple settled in Farmington and raised their two sons, Paul and Clark. Lois now resides at the UMH award-winning senior living community, Middlewoods of Farmington, enjoying the many activities and opportunities the community has to offer. Middlewoods of Farmington Residents are Ringing Their Bells! A new resident bell choir is ringing at Middlewoods of Farmington Led by Activities Director, Ginny Brown, the residents of Middlewoods of Farmington formed the bell choir a few months before the holidays and have been performing at the community and around town. Tis the season to support your local farmer’s market! This is one easy way to celebrate the environment on World Environment Day, June 5th. Awareness of your habits is key to making a difference every day. Do you find yourself throwing out rotting food from the refrigerator? “Think Before You Eat and Help Save the Environment” is this year’s insightful theme to honor World Environment Day.Think about what you eat and manage portion sizes for your health and for the environment. Many assisted living communities do this every day! They take the lead from their residents who become involved in the selection of menu items, grow fruits, vegetables and spices that are used by the chef, and sometimes the residents even get involved in food preparation! When we think about pet therapy, we often think of our four-legged, furry friends. But what about the joy many derive from birds? A number of our residents have their own birds or enjoy caring for the “community” birds. At Wesley Heights, checking up on the zebra finches is a popular activity! They hop around in the cage, responding to residents. Residents and staff alike take responsibility for caring for the birds. It is nice for residents to have something to care for; to be needed.